Target Audience: Teachers, Law Enforcement, Mental Health Workers, Community Based Organizations. Criminal street gangs have proliferated across the United States. Gangs are no longer just in urban cities. Drive by’s, gang initiations, and prison have become common place. Why does this happen and what can we do about it? Professional training available at your location from a charismatic speaker who knows about gang life and has helped youth make positive life choices to change the direction they are headed. Gangs 101/Why We Bang is an excellent workshop and training for professionals in schools, universities, mental health clinics, probation and parole and community based organizations. Goal: Attendees will learn the fascination and fatal attraction aspects of community street gangs. Participants will learn the fascination aspects and what is the fatal attraction of community street gangs. Participants will understand the infatuation and commitment of youth and community street gangs. Participants will also explore exit strategies to detour at risk youth from community street gangs. 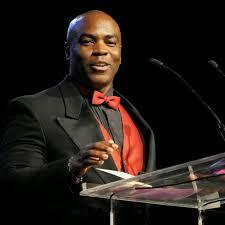 Terrance L. Stone is Founder/President/ CEO of his own successful businesses serving gang members and youth at risk. He is an ex-gang member who has turned his life around and dedicated it to God and the recovery of our youths’ innocence. Though gang life proved fierce and, most times, even short lived Terrance was loyal to a fault. Ultimately, the consequence of this delinquent life-style was a collective 10 years of incarceration ranging from the juvenile facilities to the state penitentiary. Today Stone has served as a youth mentor and graduated Cal State LA for State Certified Gang Intervention Specialist, serves on Committees with the San Bernardino County Sheriff and San Bernardino City Chief of Police, Executive Board Member and Chair of the San Bernardino Countywide Gangs and Drugs Task Force, Past Board Member of theAfrican American Chamber of Commerce, and San Bernardino Chapter NAACP, picked by past Mayor of San Bernardino, Pat Morris, to join his office on the California Cities Gang Prevention Network. He is committed to steering young people away from the life that cost him much of his precious youth. In essence, Terrance is allowing his life mistakes to help others discover their personal worth and true life purpose. Stone’s change in heart, spirit and action has resulted in his reaching over 25,000 at risk youth he is now runs a Youth Leadership Academy in multiple locations in the Inland Empire; from the High Desert to the West End of San Bernardino County, Atlanta, Arizona, Texas and Colorado and growing. Stone’s sincere efforts have resulted in his receiving multiple awards.